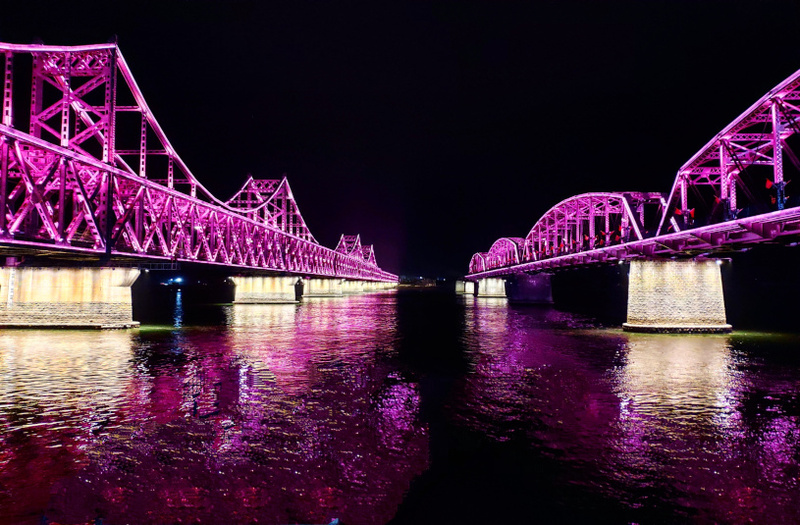 Over the past month construction workers had been seen on the Sino-Korean Friendship Bridge that connects the Chinese city of Dandong to the North Korean city of Sinuiju by a single road and rail line. The bridge – built with German steel –was first opened in 1943 by the Japanese, who had annexed the area during WWII. The two bridges side by side. The workers were installing new – and much-needed – lights on the bridge for a more spectacular view over the Yalu River. On the evening of Monday 17th December The lights were switched on for the first time, which gathered a lot of positive responses from the locals. The Friendship Bridge as it formerly looked. In 2012 the Chinese Government had some simple lights installed on the Friendship bridge to make it more visually appealing to tourists. Over the years, as the relationship between the two countries froze, maintenance of the lights stopped, which eventually led to the bridge returning to complete darkness. 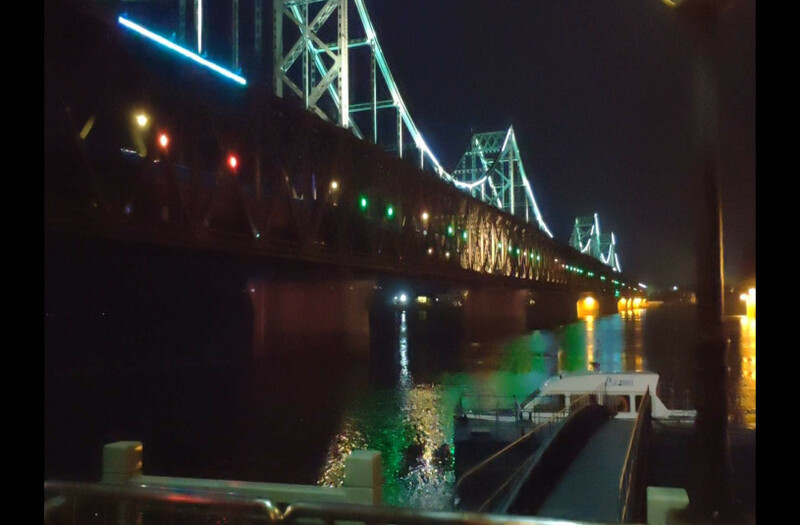 However, the Chinese kept up with the maintenance of the lights on the Broken Bridge, which lies directly next to the Friendship Bridge, and is used as a massive tourist draw by the Chinese authorities. The Friendship Bridge by night. 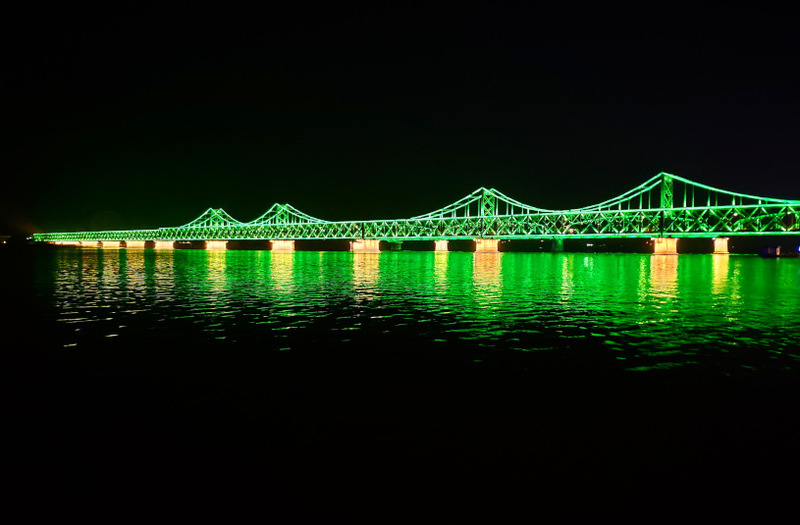 The activation of the lights was a great sign that the relationship between China and North Korea has warmed up again, and that the people of Dandong and Sinuiju have a landmark to be proud of. Explore Dandong yourself with a Dandong overnight tour, or hop over the border for our ‘Overnight in Sinuiju’ tour!